I have been suffering some serious blues lately which is why I haven’t posted for a while. Just taking it day by day. Staring at the walls in a daze with a few days remaining before Burning Man means I’m going to be hyper-stressed before the long trek to the playa on Saturday. But I’m very much looking forward to the solitude of a six hour drive. 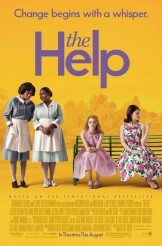 Last night we watched the Help. I really enjoyed it. I thought the movie was a pretty good portrayal of the book—as good as you can get in two hours. I wasn’t too keen on Emma Stone playing the main character Skeeter, but she did a good job of playing an awkward nerd. The acting through and through was fantastic. Have a fun weekend my dearie!